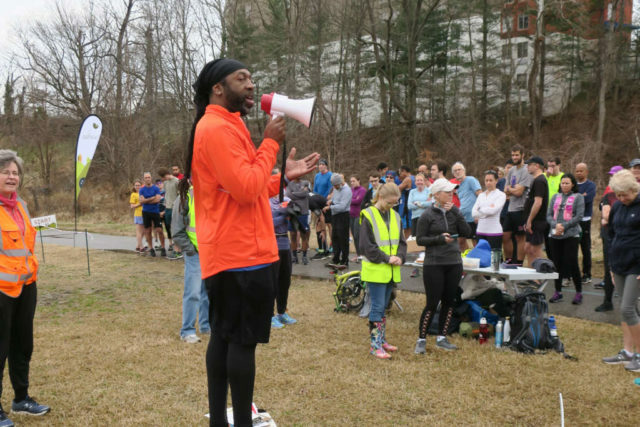 Here’s a selection of superlatives awarded by local running clubs. 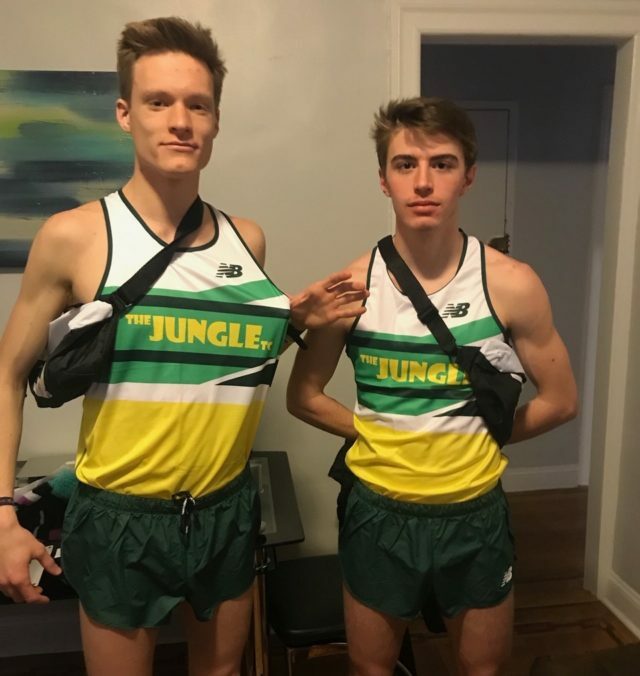 Three Loudoun Valley relay teams won national championships over the weekend, with two setting national indoor records. 4xMile: 17:01.81 (national record): Kevin Carlson (4:22.26), Connor Wells (4L21.456), Sam Affolder (4:06.192) and Jacob Hunter (4:11.901). Loudoun Valley also had two other relay teams in the top eight. 4×800 7:40.49: Jacob Windle (1:57.453), Connor Wells (1:57.046), Sam Affolder (1:51.368) and Jacob Hunter (1:54.619). At the NCAA Division I Indoor Track and Field Championships, Heritage alumna Weini Kelati (New Mexico) finished second in the 5,000 meters and third in the 3,000 meters, the Georgetown distance medley relay team of Jack Salisbury, Lawrence Leake, Ruach Padhal and Nick Wareham finished third; Patriot alumna Rachel McArthur ran on the Villanova distance medley relay team that finished fourth and Georgetown’s Joe White finished fifth in the 800 meters. Montgomery County Parks Natural Surface Trail Manager Bob Turnbull was named “Trail Builder of the Year” by Mid-Atlantic Off Road Enthusiasts, a mountain bike riding and trail building organization. 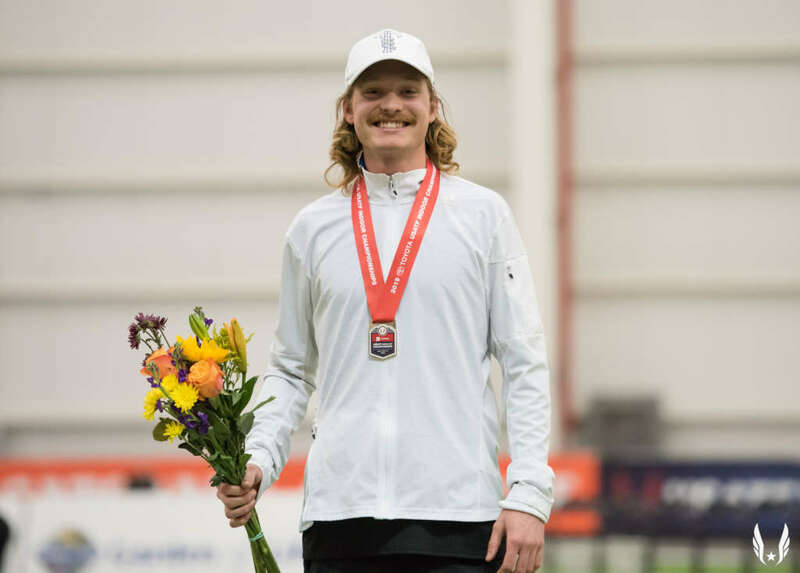 Loudoun Valley alumnus Drew Hunter set a meet record in winning the U.S. indoor championship in the two mile, running 8:25.29 from the slower of two heats. More from LetsRun. 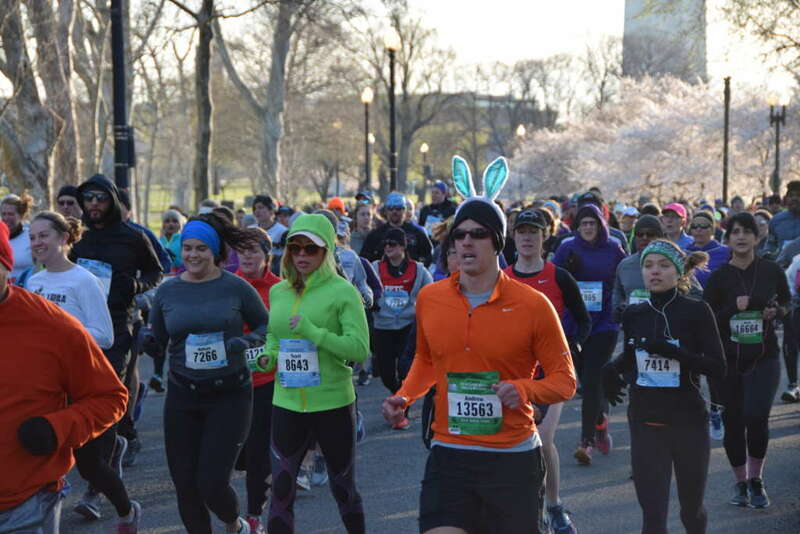 The legal bib transfer period for the Credit Union Cherry Blossom Ten Mile runs through 11:59 p.m. Monday Feb. 28. If you miss this deadline, don’t run with someone else’s bib. 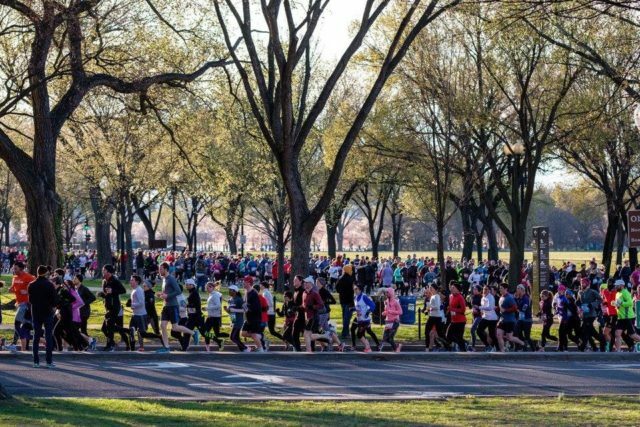 The National Park Service will not plow the D.C. portion of the Capital Crescent Trail during the predicted Wednesday, Feb. 20 snowfall. Crews will wait until all the snow has fallen. DDOT will hold a public meeting on the Palisades Trolley Trail feasibility study 6:30 p.m. – 8 p.m. Thursday, March 7 at the Palisades Neighborhood Library, Meeting Room, 4901 V Street NW. 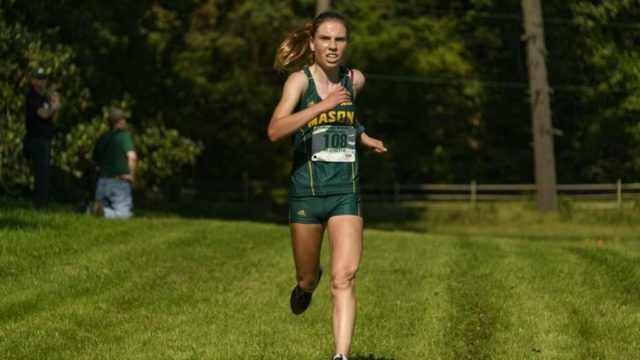 George Mason freshman Siobhra O’Flaherty finished 54th while for Ireland’s U-23 team at the SPAR European Cross Country Championships in Tilburg in the Netherlands. 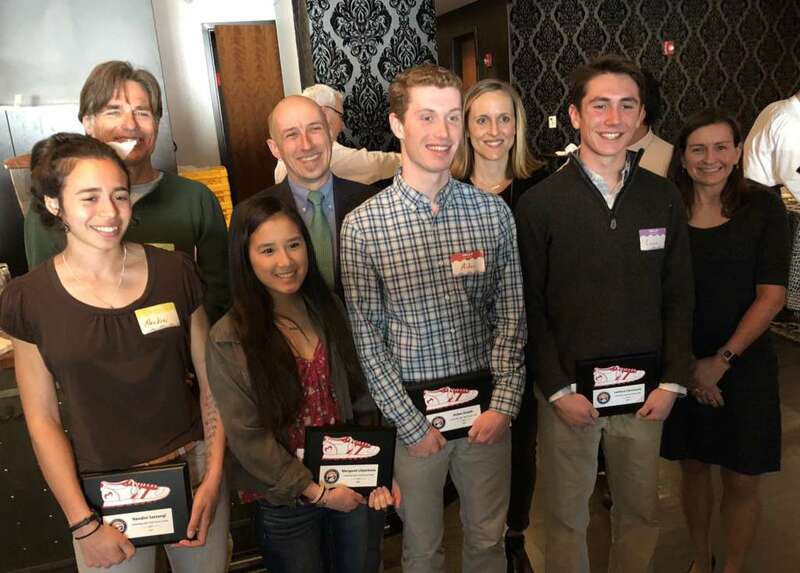 Clarksburg alumna Lucie Noall, a senior at Queens University, was named South Atlantic Conference Scholar-Athlete of the Year. 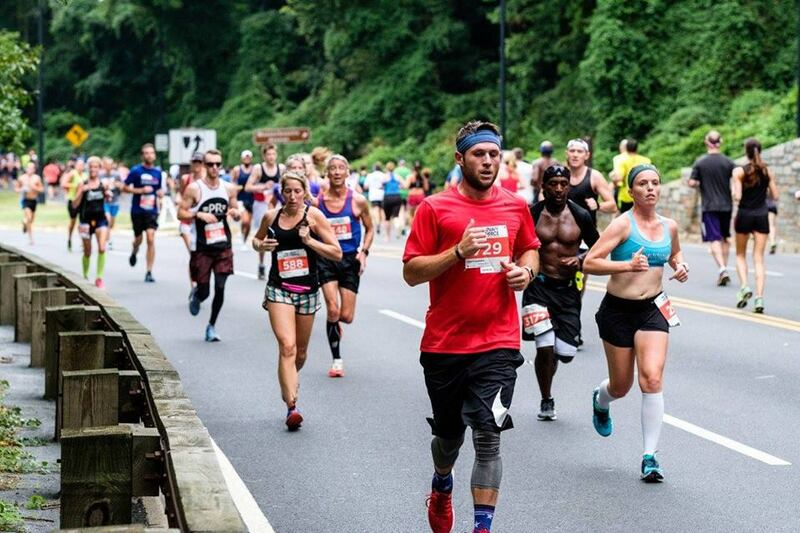 Josh Estep, whose 50 state marathon journey we profiled in February, finished up over the weekend at the Honolulu Marathon. 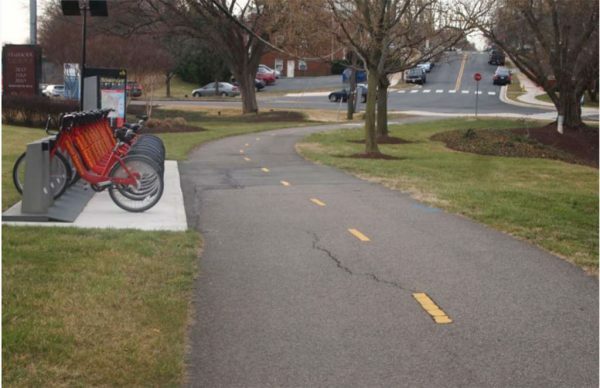 A roughly 0.4-mile paved path opened in Arlington County over the weekend on the western side of Washington Boulevard, between Towers Park and Columbia Pike. The California International Marathon Dec. 2 doubled as the U.S. Marathon Championships. Former Georgetown grad student Sam Roecker finished third in 2:30:25, Alexandria’s Bethany Sachtleben, a former George Mason runner, was sixth in 2:31:20 and former Silver Spring resident Maegan Krifchin finished eighth in 2:32:47. All had previously qualified for the 2020 Olympic Marathon Trials. 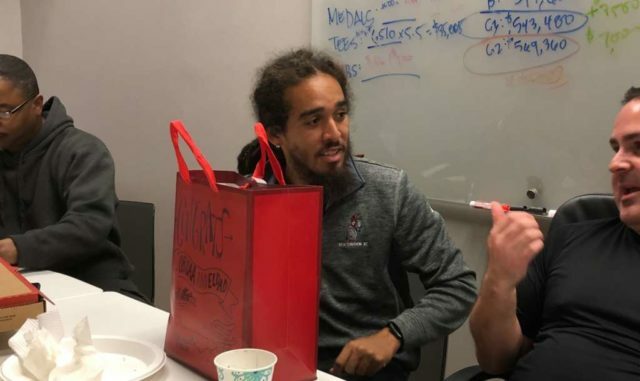 Former Silver Spring resident and University of Maryland runner Patrick Reaves qualified for the Olympic Trials, running 2:17:40, as did Columbia native Brian Harvey (2:17:48), American University alumnus Mark Leininger (2:17:50) and Arlington resident Kieran O’Connor (2:18:52).